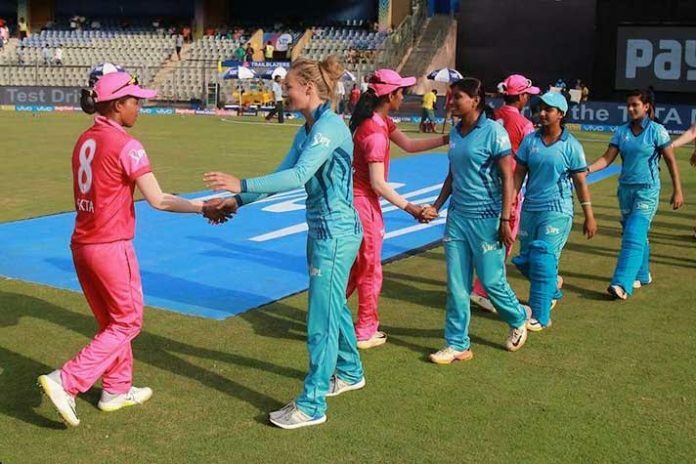 The Board of Control for Cricket in India is reportedly considering to organise women’s T20 exhibition games before selected games during the Indian Premier League 2019. For once the BCCI officials and the Committee of Administrators have been on the same page to approve a proposal. The matches, according to an ESPNcricinfo report, will feature international women cricketers in the mixed teams with the Indian girls. Even as a one-off Women’s T20 Challenge game at the Wankhede Stadium in Mumbai during the IPL 2018 did not draw any impressive crowd or television ratings, the BCCI has decided to extend the experiment to some more matches. The one-off game last year was also being considered a ‘dry run” for a Women’s IPL. However, an Indian T20 league for women on the lines of the English Kia Super League or Cricket Australia’s Women’s Big Bash League may take a while to see the light of the day. A sufficient pool of quality domestic female players is one of the major concerns to formalise a women’s T20 professional league in India. For the exhibition games team’s may follow a minimum of seven Indian and maximum four overseas players combination. In spite of the decision to have women’s exhibition games during the IPL, the board has not yet formalised a firm plan for the games. The BCCI think tank is reportedly waiting to finalise the IPL 2019 schedule before moving on to the women’s exhibition game plan. The IPL 2019 fixtures are expected to be released sometime next week. The women’s exhibition matches will have up to a maximum of three teams, a BCCI official has confirmed to PTI. “Yes, the women’s T20 matches will be held this year also. It will be a week to 10 days affair during the men’s IPL. Once the BCCI gets clearance from the election commission and Home Ministry on dates, the itinerary will be fixed,” a senior board has functionary told PTI. “At the max, we can have three teams with Harmanpreet, Smriti and may be Mithali (for this year) leading the sides. They play against each other once and the top two play a tournament decider. It could be a seven-day affair,” the official said. “BCCI would decide the teams as there aren’t any proper bidders who are interested in buying women’s teams. Yes, we might rope in a few good sponsors,” he said. “So at the moment, the BCCI will have to pay the players, including the match fees of foreign players, along with a decent prize money,” he added.